You are not logged in. [Log In] Forums Wings: Over Flanders Fields Wings Over Flanders Fied UE black screen. #4445855 - 10/28/18 02:35 PM Wings Over Flanders Fied UE black screen. Last edited by Pawgy; 10/28/18 02:46 PM. Are you running it as Administrator? If not, try it. I can see you have AMD graphics card. The latest AMD drivers donot like WOFF. Try to downgrade - install drivers 17.5.2 or older. See also http://SimHQ.com/forum/ubbthreads.p...und-after-starting-a-mission#Post4395172 . Tried 17-5-2 no luck. Where do i set compatibility settings? Never mid. I found and reset but to no avail. Last edited by Pawgy; 10/29/18 08:32 PM. Last edited by Pawgy; 10/28/18 03:46 PM. That error sounds like the shaders are crashing. see the other thread on things to try. Make sure you installed DX9 properly as per the Step by step in the FAQ. Black screen - DPI setting - try at 100% normal DPI. Try 16 bit mode rather than 32 see if that helps. Dx 9 is installed as directed in your write up . Set dpi to 100% ,,,no change tried 16 bit ,,,no change . still ctd and black screen after go to field. Can hear planes on black screen and guns fire bur no picture. Will have to cancel my purchase at pay pal .Sorry would like to try but it just does not run on my system. Will delete completely. Last edited by Pawgy; 10/28/18 04:50 PM. Look at his hardware, He seems to run on a very low system, RX460 and an A10-7700 FMsocket system. It is a shame because everything else runs super. I understand part of it must be my system but also part of it is the Game itself. Just went back this morning and cut all Graphics options very low. It is hard for me to believe that my system will not run this game at its lowest settings. But it wont!!!!! Last edited by Pawgy; 10/29/18 01:47 PM. it is not only your Vcard, but also your CPU that is become on the low end side of the gaming hardware performance. 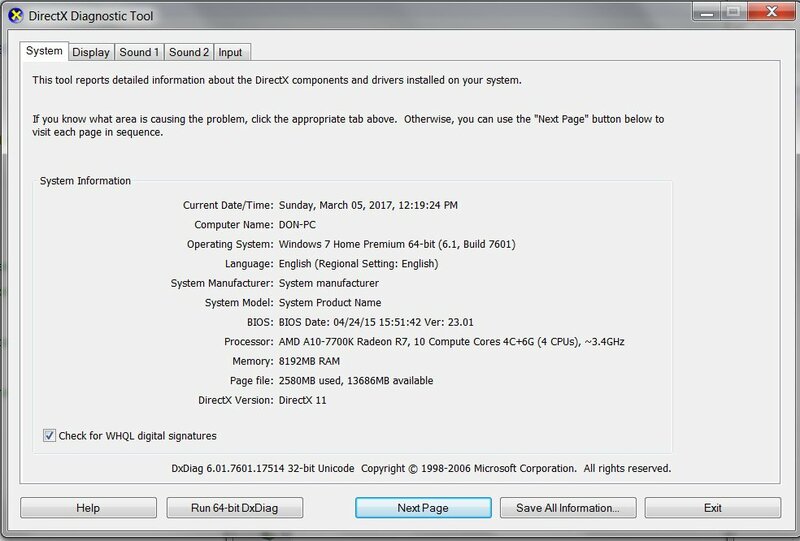 Try to set CPU affinity of all processes to 2 cores and the other 2 cores, pure for CFS3.exe only. Overclock your k series CPU to an much higher Ghz. Still I think your hardware needs an upgrade and not only for this game. Last edited by dutch; 10/29/18 05:43 PM. Dutch.. Thank you for your kind reply but i have no idea what you are telling me. I can only say that my computer as it is now has run everything just fine untill this game. Way back when I started running Grand Prix legends many helpful simmers told mt the same thing but in the end It was running with many corrections , just fine with no upgrades at all. I have most of the very good racing Sims from Steam and a few flying games including Rise of flight and they all run perfectly.at reasonably higher settings. Thanks again for your reply. I am still trying to find the right combination. Last edited by Pawgy; 10/29/18 08:31 PM. After trying about 10 sets of video card drivers and installing a set from about 1 year ago (17.4.3) IT RUNS, Must just be an old fasioned game. As Dutch suggested i am only getting 30-35fps but that is more that good enough. Again, Thanks loads for everyone input. With out your help I would have been out of luck. Now I up for programming my Joy Stick. .
Last edited by Pawgy; 10/29/18 09:34 PM. 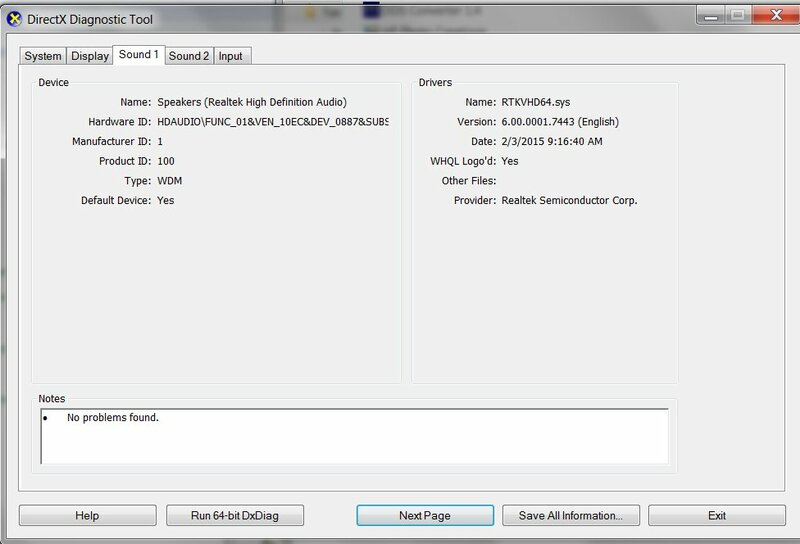 For the most part, unless a particular set of drivers is in some way broken or deficient, the only real reason to update drivers is better compatibility - in most cases, with newer software and features. But unless you're running into problems or poor performance with what you're actually using... why update? All the more so if it actually breaks the software you're actively using, like WOFF in this case. I tend to be very careful with graphics drivers updates since I play a lot of older games, and don't particularly care for the latest and shiniest stuff. I have absolutely no interest in how my PC will run Assassins Creed Odyssey, Black Ops 4, Battlefield 5, or etc., because I'm probably never going to run them on my PC in the first place. On the other hand, I care very much about how (in technology terms) ancient products like WOFF, Falcon 4.0 or Enemy Engaged might run on my computer, and will stick with drivers that best work with them, even if it means not updating the drivers for months/years. Last edited by CCIP; 10/29/18 10:42 PM. Thanks CCIP. I had no idea. I thought you always had to update video card drivers. I guess i will leave them alone now. Still no luck with controller programming. I unbind and bind and save but nothing changes. Last edited by Pawgy; 10/30/18 05:41 PM. Glad you are up and running Pawgy. For the record I always update NVidia drivers frequently to the latest and WOFF for me has NEVER failed to run because of that, in 10+ years. That's maybe with about half a dozen or so video cards upgraded too. So it's not because WOFF is 'old' it is definiately due to ATI/AMD drivers or how they implement them. They have always been slightly odd for about the last 20 years in my experience. I used to build PCs for a company and we had endless ATI driver issues, they improved around the year 2000 when they introduced Radeon 8000 an actual NVidia competing ATI GPU, drivers were much much better but still a little more flakely than Nvidia I had used previously. I bought one of those (and later an 9800 XT) but ultimately reliablility got me and back to Nvidia. These days who knows but my bet is they are still similar. Guess ATI drivers was a big problem, but since the AMD take over that has been changed. Because in 2009 I did buy an HD4890 and in 2012 the HD7970. Never I had any problems and these two cards are still running both on my sons PC. I will talk to my computer guy about going back to a better NVida card. He installed a fairly good one and i could not run one of my very good race games . But i can not remember which one. 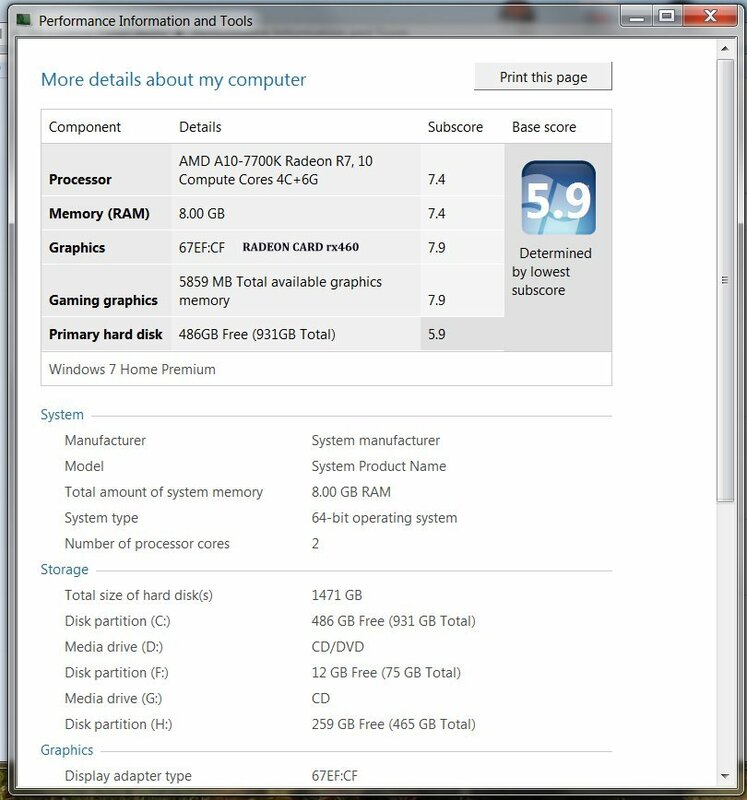 Since i am not an ultra computer guy and am now pushing 84 i have to be careful on what my computer will run. I really do not know how far i can go with my machine and I am not about invest in a new one at this late date. But i sure appreciate the tips and comments. Thanks for all your input. Right now i am strugelling with getting the correct inputs on my Joy Stick and have had no luck so far. Last edited by Pawgy; 10/30/18 10:10 PM.